About to Bounce rents this Extreme Raceing inflatable obstacle course. 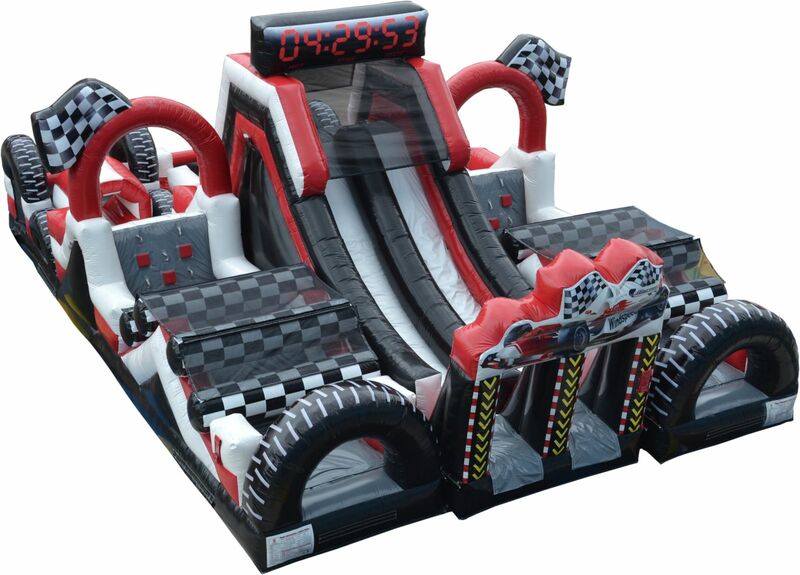 It is a 2 lane obstacle course that you enter in the front and also exit in the front. So all the race spectators can watch all the participants race against esch other. 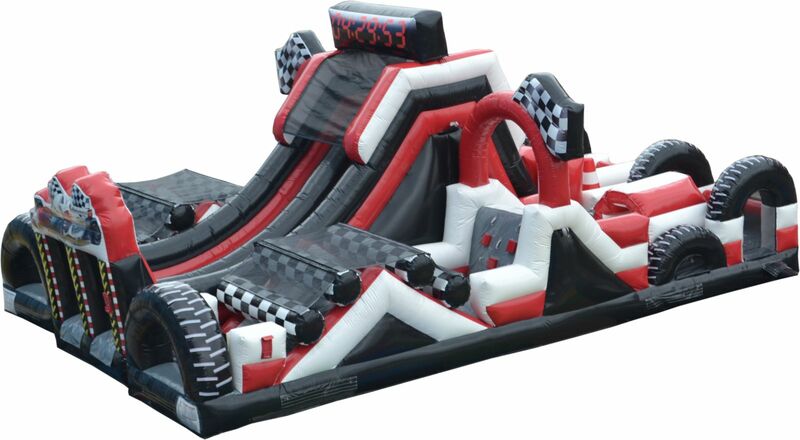 This obstacle has tons of pop up obstacles and a large slide inside. It is colorful in black, red, grey, white. 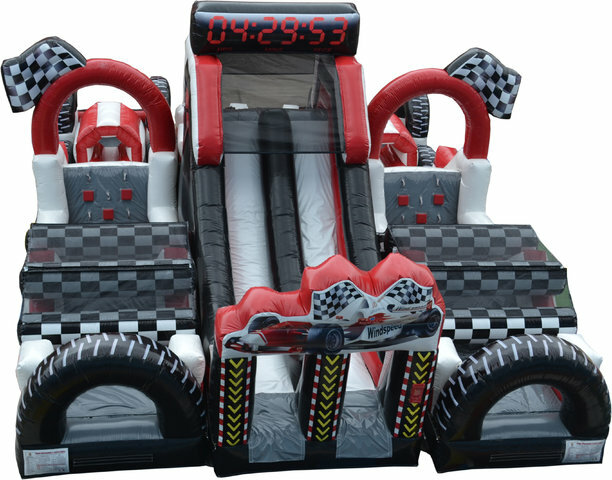 This inflatable obstacle course will be perfect for any school, church, corporate event.